Experience the hospitality of the Filipino people right in the heart of Philippine’s financial and entertainment district – Makati, without breaking your bank. 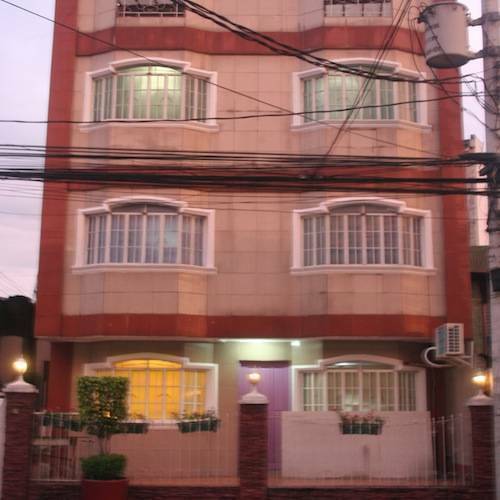 1 River Central is a new 22 bed backpacker hostel in between the lively city life of Makati and the mighty water of the Pasig River. Highly accessible from the Ninoy Aquino International Airport, 1River Central is just a 20 minute taxi ride away. 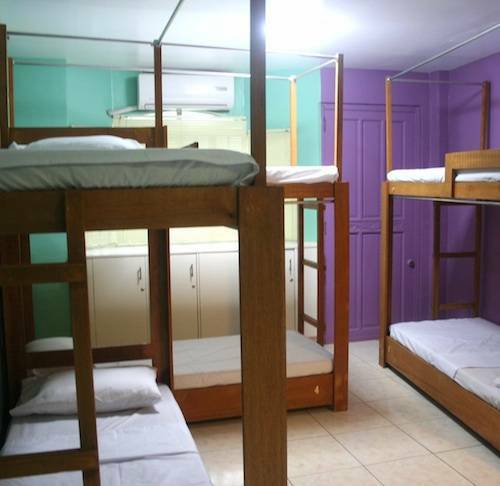 This 4-storey hostel has 5 cozy shared-bedrooms for 4-6 guests in each room. 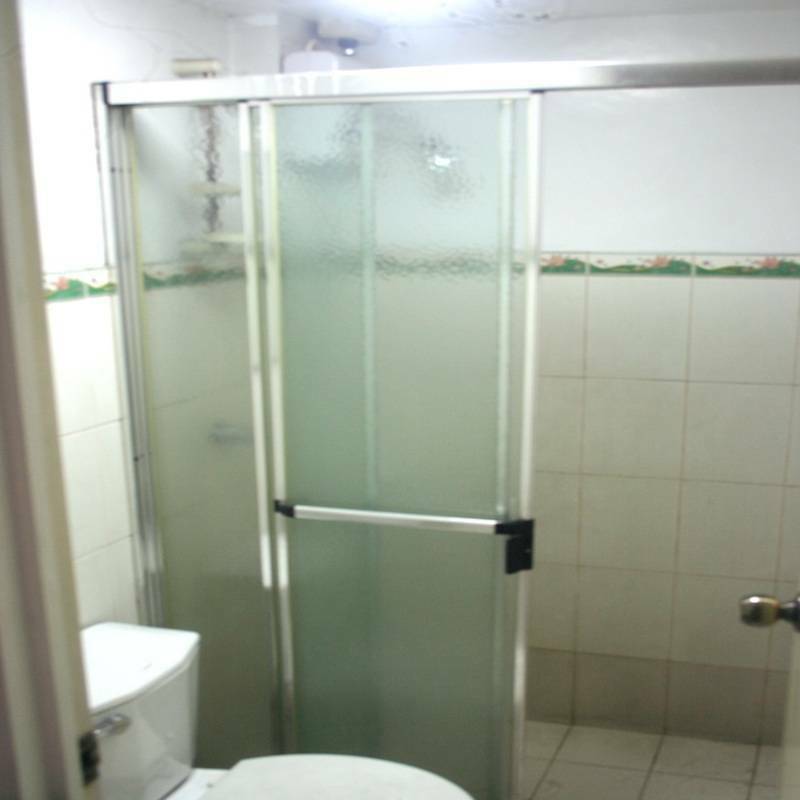 Bathrooms are shared in each floor. Rooms generally split men from women but special arrangements may be allowed if booking the entire room. 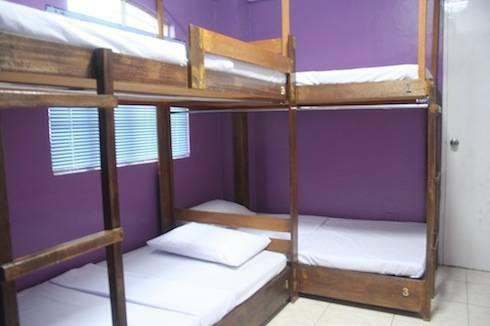 Each bed has its own safety deposit box and a cabinet that can fit a backpack. 1 River Central offers free WI-FI and free breakfast to all its guests. Beer and drinks are available the whole day. 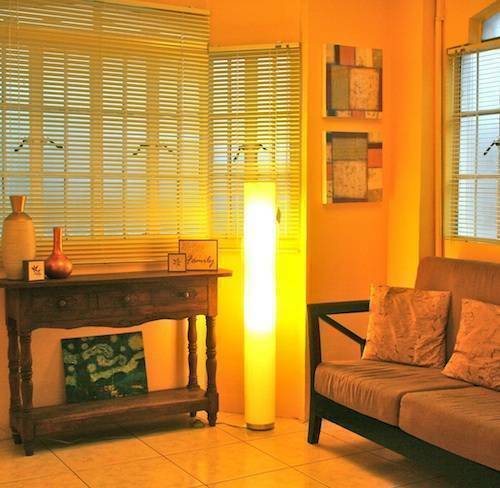 It has a roof deck with a pretty view of the Makati skyline and the riverside. This roof deck allows for eating, cooking, meeting other guests or just simply lounging around. Guests are generally youth travelers exploring sights of Manila. Smoking is only allowed at the roof deck. Laundry service is available for a minimal fee. Bed linens are already in place but towels are available for a minimal fee. Information on Metro Manila locations and sites may be obtained from the hostel staff. From 1River Central one can explore the city in so many ways as taxis, jeepneys, buses and the Metro Railway Station are just a few minutes away from your doorstep. 5 minutes walk from Rockwell’s Power Plant mall one can find a mix of specialty brands, both international and local, a supermarket, lifestyle retailers, specialty boutiques, themed restaurants and state-of-the-art cinemas. 5 minute taxi ride will bring you to Greenbelt, a three-hectare park punctuated by cascading landscapes and carefully-chosen water features re-imagines the typical mall with a roster of prominent and world-class retailers, restaurateurs and entertainment operators. 15 minute drive is Greenhills Shopping Centre, a mecca for discerning shoppers. Bargain hunters can have a shopping galore experience from clothes, shoes, electronics, accessories, home wares and many more. 5 minute taxi ride is Makati Avenue where night life never stops until the wee hours of the morning. 5 minutes by jeep is the depot for the Pasig River ferry that can bring guests to Old Manila/Chinatown. For the adventurous, a few steps away is the chance to join the locals as they take the Pasig river taxi ferries that will enable one to see Filipino lifestyle outside the city. To unwind, 1 River Central has a rooftop deck that provides a glimpse of the city skyline and the Pasig River. From the Ninoy Aquino Airport, take only airport-accredited taxis and insist for a metered trip (not a negotiated fare). Advise the driver to take you to JP Rizal Street in Guadalupe, Makati. The driver should take you to EDSA and take an exit that will lead you to JP Rizal. The taxi will turn left to JP Rizal and after about 500 meters, you will see the 1 River Central logo to your left. This is in front of a Caltex gas station. By MRT or bus, exit at Guadalupe Station. Walk down the JP Rizal exit and take a left at JP Rizal Street. This will be a 10 minute walk to reach 1 River Central. Taxis, jeeps, buses and the MRT are easily accessible.